The time is almost here again, BlackFriday is the Friday after fourth Thursday (Thanksgiving Day) of November every year. 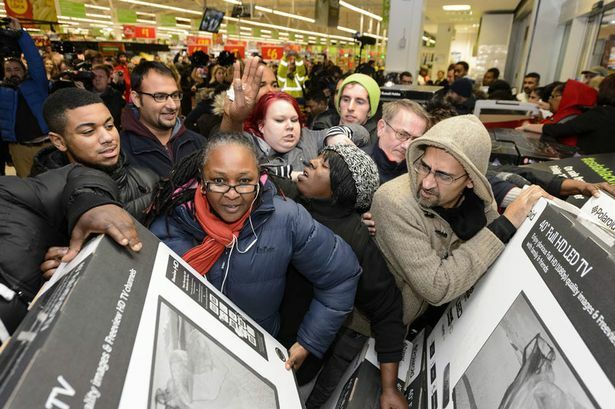 BlackFriday started to be celebrated in the United States, this is the only time of the Year when Prices of products will crash and be slashed, which usually leads to thousands of customers or millions worldwide Purchasing and demanding in huge quantities in getting prepared for the Christmas season. BlackFriday lasts only 24 hours hence it's a One day opportunity to grab that expensive product(s) that you have always dreamed to have for the lowest price. Nigeria and few other key countries in Africa is not left out of this Big event because this is where the Biggest and most popular Online retailers or E-commerce sites operate. Typical examples as we may know include: Jumia and Konga who had been holding it in previous years already. Here in, we would be sharing with us How you can get involved in doing Black Friday shopping in Nigeria, you'll get the Best and Lowest BlackFriday Deals that these which retailers will send out to you. Jumia is One of the largest Online retailers in Nigeria and Africa at large that is fully buckled up to offer you BlackFriday deals this 27th of November 2015. From last year's experience of Blackfriday 2014, we recall how Jumia Nigeria's website Crashed due to excessive customers rushing their cheapest and Best deals ever. This 2015 Jumia will be Here and Stronger again with Massive BlackFriday discounts on exclusive products getting between 50 - 70% Discount. Just like the Jumia mobile week, we should take Note that most of the Products will be in Limited Stock so you need to be Ready and very Fast to Buy them before other customers do. They usually Announce before they commence the Rush Hour Sales, we advice you be there 5-10mins before they start to Increase your chances of grabbing the BlackFriday deals on 27th. The Ecommerce website is Nigerian Based and is also very huge and popular Online mall. Every year, Konga's Blackfriday is tagged as "YAKATA", the Only day when Prices will fall to pieces. This Year, Konga Yakata sales will hold on 26th - 27th November 2015; Konga will distribute the Best and most Amazing Lowest Deals and Prices on products, and round it up on CyberMonday on 29th (Cyber Monday's meant For electronic products only). Recalling last year's experience, BlackFriday went pretty smooth on Konga despite the Heavy hundred thousands of traffic and Sale-transactions that took place for 24 hours of Black Friday 2014. Konga delivered Nigeria's Record Breaking Online sales event with a massive success in 2014 and they are set to do it again this 2015. During Konga's Fall Yakata Sales 2015; there also would be Rush hour deals or flash sales whereby you would need to be Very fast and be 5-10mins earlier to be able to see and Grab the Deals. Konga Promises 50 - 70% OFF on Special products and as we should know, such goods are limited, another great news is Konga will do Free delivery for customers who Buy goods worth certain amount. For those, especially guys that had wanted Black Friday 2015 for Sony PS 4 , Black friday 2015 Xbox (Xbox One and Xbox 360), and those who need the Best buys on TV deals for Black Friday 2015 in Nigeria, this is your only chance to own your dream gaming consoles; or other appliances. The deals and Prices will be at its Lowest and Best from the Biggest Ecommerce sites this 2015, hence you have to start getting ready to experience lowest prices for same quality goods that come once in a Year.